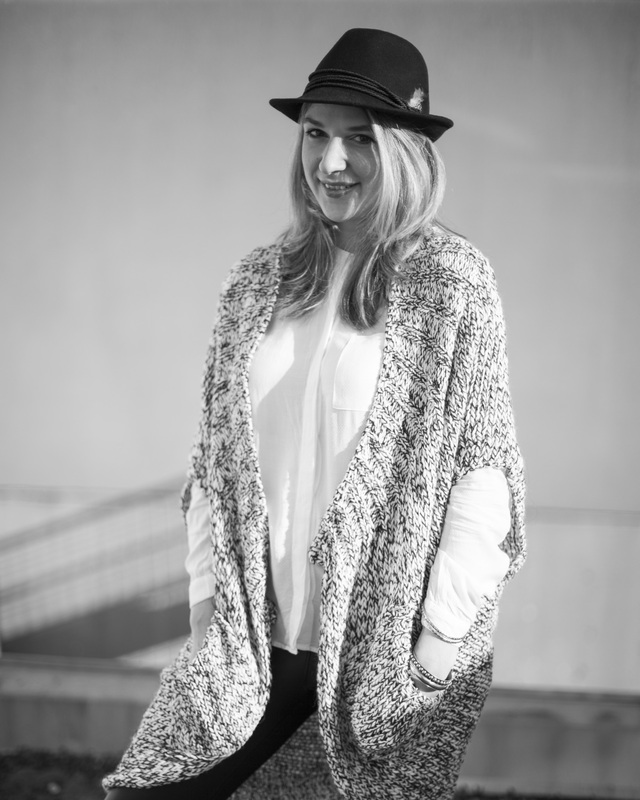 Dieses Mal kein Business-outfit-of-the-week… Ich habe frei, einfach nur so! Wenn man Kinder hat und arbeitet kommt man ja quasi zu gar nichts. Ich frage mich ja wie andere das machen. Bei mir jedenfalls bleibt jede Menge liegen. Also endlich mal Zeit für Erledigungen und für mich selbst und endlich mal Zeit, das anzuziehen, was Spaß macht, ohne sich an Büro-Regeln halten zu müssen! 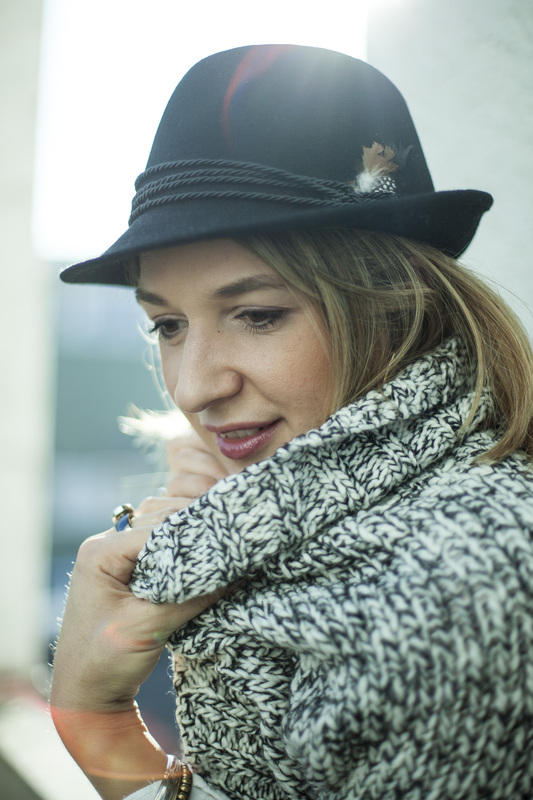 Und in einem Post gleich 3 Winter-must-haves verpackt: Eine kuschelige Oversize-Grobstrick-Jacke, dazu eine Materialmix-Hose, vorne Leder, hinten Stretch und last but not least: Ein Hut! No business-outfit-of-the-week this time…. I took a few days off, just like this! When you have children and a job, you hardly have time to get stuff done. I sometimes ask myslef how other people get along with everything. Anyhow, a lot of things have remained undone. So finally I got some time to get everything done and some time for myself and finally some time to wear, what I like, without having to follow any office-rules! 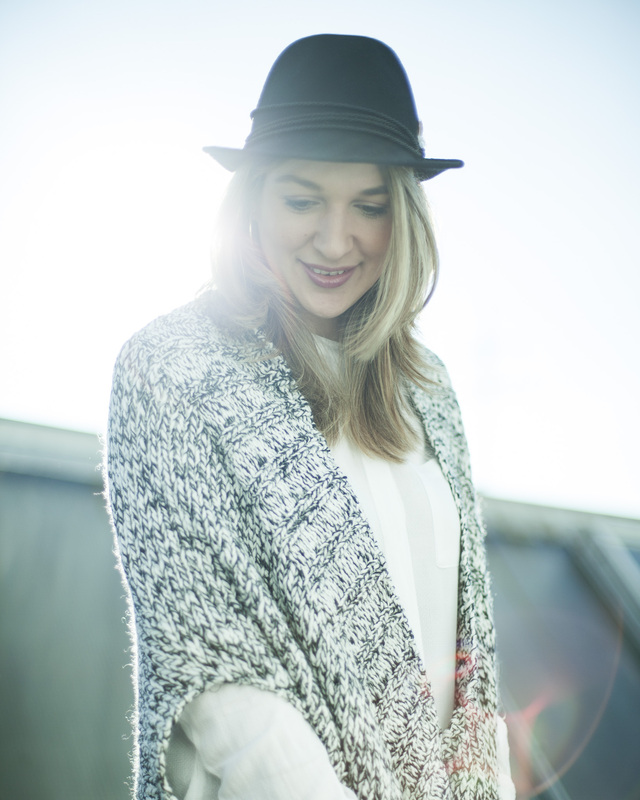 And in only one post, you will find 3 winter-must-haves: A cosy oversize-cardigan, material-mix pants, leather in the front and stretch in the back, and last but not least: A hat! 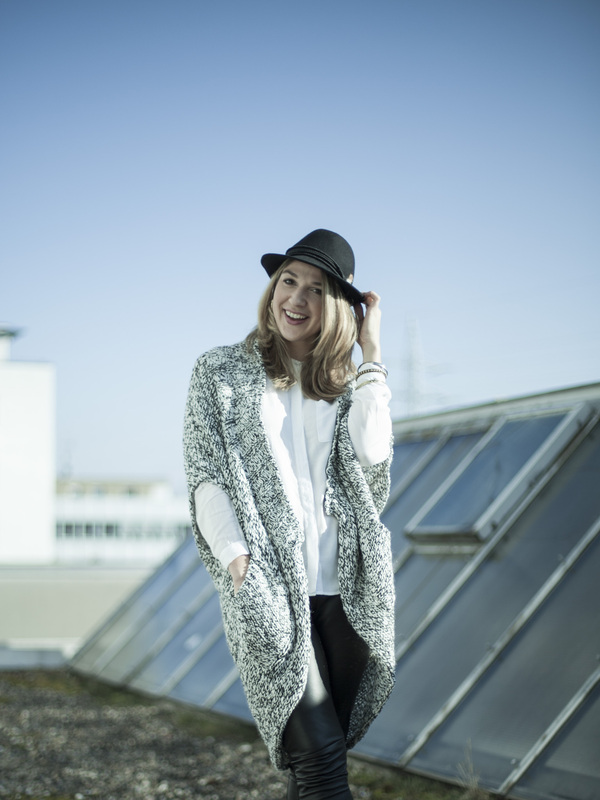 Hat: Staring at stars (Urban Outfitters); blouse: Vila; oversize-cardigan: Zabaione; pants: Hallhuber. Klasse Outfit & es steht dir prima! Das freut mich zu lesen! Danke!! !